With Halloween coming up, it may be tempting to give into those sugar cravings, but research shows that eating too much sugar can be more harmful than we think. Excessive sugar consumption can lead to memory deficiencies, sugar addiction, and overall health deficiencies. The American Heart Association recommends no more than 25 grams of added sugar per day for women and 38 grams for men. However, most Americans consume much more than the recommended amount of sugar per day. Many Americans prefer the convenience of processed and packaged foods, which often are high in sugars. The best way to limit the consumption of foods high in sugars is by eating a natural diet consisting of real foods. The brain uses energy in the form of glucose to fuel cellular activities. However, a high sugar diet can lead to excess glucose in the brain and studies have linked excess glucose consumption to memory and cognitive deficiencies. Another reason sugar is harmful to the brain is because it effects certain neurotransmitters which can result in sugar addictions. Dopamine is a neurotransmitter in the brain and some of the processes it controls include: mood, behavior, learning, and memory. Drug addiction and Parkinson’s disease are some examples of conditions associated with disrupted dopamine levels. Sugar can also disrupt dopamine levels as the brain becomes used to high levels of sugar. In fact, both the gene expression and availability of dopamine receptors can be altered in certain areas of the brain from consuming too much sugar over a long period of time. The effect sugar has on dopamine and dopamine receptors makes it addictive and is why it is often so difficult to eliminate sugar from the diet. Not only is sugar harmful to the health of the brain, but it is also harmful to the overall health of the body. Too much sugar can lead to tooth decay and cavities, leading to oral health problems. In addition, excessive sugar can lead to weight gain and increases the risk of developing Type 2 Diabetes. Insulin is a hormone that helps to metabolize sugar in the body, but if there is too much sugar in the body then insulin resistance can occur. Eventually, insulin resistance may lead to Type 2 Diabetes. Excessive sugar consumption is harmful to brain health, and can lead to memory deficiencies, sugar addiction, and decline in overall health. To keep your brain healthy, consume sugar in moderation and within the recommended guidelines. 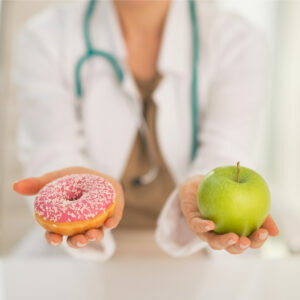 If you are concerned about too much sugar affecting your health, talk with your doctor or a medical professional. If you are a neurology patient and are looking for a neurologist that incorporates a holistic approach to medicine, then visit Dr. James Francesconi’s webpage to find out more about how he uses a holistic approach to treating neurological disorders.